In 2014, I made two life-changing decisions: I committed to working as a freelance translator, and I purchased a PC after years of Apple use. I bought a cheap Lenovo, and told myself that, if I wanted to make money (which I wasn’t, then), I needed to spend it. Simple enough. Then I tried opening a Microsoft Word file, only to learn that MS Office shipped separately from the computer itself. It might as well have come without a screen. What good was a laptop if I couldn’t even write something on it? On top of which, I’d have to pay a subscription for the privilege of downloading MS Office? You cannot be a good, efficient, professional translator without the right technology, but professional-level software can be expensive, presenting a challenge for some first-time translators. If you are looking to cut costs in at least one area, take heart: the web is full of free and open-source software that translators can use. Here are five programs I’ve found invaluable, not only because they literally have no price tag. OmegaT is a free, open-source computer-assisted translation (CAT) tool in the same model as such proprietary CAT tools as memoQ or Trados. It takes up comparatively little space on your hard drive and is easy to learn to use: it comes with a preinstalled guide for getting started, making it ideal for new translators. OmegaT lets you create, manage, and import translation memories and glossaries, breaks text into easily translatable segments, and allows for easy insertion of previously translated terms, which will reduce your translation time enormously. A perk of its being open-source is that independent developers have written scripts and plug-ins, making it more customizable than other tools on the market. Speaking of which, you may wonder why, if there’s a free, customizable CAT tool available, a market for paid ones exists at all. First, OmegaT is not the industry standard. 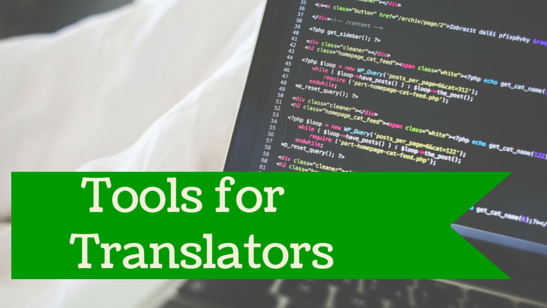 Most translation companies and freelancers use a proprietary CAT tool. For compatibility reasons, especially if you access the company’s TMs through the cloud, you may have to use the company’s CAT tool. Second, open-source software is not known for its polish. OmegaT’s interface looks like it was designed by someone with Windows 95 nostalgia; personally, I’ve found its layout confusing, especially when looking for other segments. Nevertheless, it’s the quickest, cheapest way to introduce yourself to an essential translation tool. You generate a lot of files when you translate, and they take up space. They’re also troublesome to search through. Enter Google Drive, a cloud-based (read: not on your computer) storage system for nearly anything with a file extension. Google Drive lets you create as many folders as you need to organize your materials and gives you 15 GB of storage for free. For $1.99 a month, you can increase that to 100 GB. You can use Drive to create any kind of document or file you might create using Microsoft Office with the benefit of instant saving and the ability to revert to previous versions very easily. It’s also portable: files can be converted to Drive format easily, meaning you can take an MS Word file and edit it from anywhere with an Internet connection. Searching for files on drive is also easier than on your computer, for the simple fact that you’re using Google’s search function, and not Microsoft Explorer’s. When was the last time you Binged something? Drive isn’t the only cloud-based storage system: Dropbox is also free, and you can use Apple’s iCloud or Microsoft’s OneDrive. Still, Google Drive integrates directly with other Google software, notably Gmail. You can add Drive to your desktop as well, making it easyto transfer materials from your computer to the web. As more and more companies move toward cloud-based storage systems, using and understanding Drive will make it easier to collaborate with potential employers. For all its convenience, Google Drive is useless without an Internet connection. OpenOffice, a free version of word processing tools similar to the Microsoft Office suite, works offline like any regular piece of software, and isn’t subject to the connectivity hiccups that can slow down Google Drive. LibreOffice is another free word processing alternative to Microsoft Office many people use. For my purposes, the best thing about OpenOffice is that it’s intuitive: if you can use Microsoft Word, you can use OpenOffice Writer. OpenOffice’s great shortcoming, which it shares with Google Docs, is that it doesn’t create the same type of files as Microsoft Word. This can lead to compatibility issues and inconsistent formatting. A Word document won’t necessarily retain all its features when you open it in OpenOffice, and vice-versa, meaning you must be ruthless in checking that you send a properly formatted document to clients. The consequence is that many translators do purchase Microsoft Office by the time they work with paying clients. Evernote is a sort of notepad that syncs across devices. It allows you to create checklists, take notes, and collaborate with other users. You can also use it to bundle notes together, making it a great tool for tracking clients and keeping client-specific information within easy reach. Instead of, say, keeping one spreadsheet for client contacts and a separate text file for notes taken at conferences, you can create and link two notebooks in Evernote, making useful information much more easily obtainable. And unlike Drive, it runs without an Internet connection. I’d had no idea I might need to use a file-renaming device until Jost Zetzsche’s most recent Translator’s Tool Box came out and featured ReNamer at the top. (Are subscribed to the Tool Box? It’s a stream of tech information specifically for translators from one of the most successful translators in the industry, and there’s a free version.) It only takes a few email exchanges with a client to learn just how quickly different versions of documents can accumulate, all of them with the inevitable _proofread_edited_re-edited attached to the end. Say you have a naming system for your files that your client is disregarding, and you want to keep your records consistent: ReNamer allows you to rename files without opening them or using any of the clunky techniques you’d have to use in Windows Explorer, and it can do it in bulk. Ten different files that you’ve translated and want to label as such? ReNamerinserts_translated to all of them with one click of a button. A good rule for anything software-related is that if a proprietary version of something exists, a free version does too. It takes very little searching and tenacity to derive as much utility from free software as from paid, which can make a big difference if you’re a first-time freelancer looking to move up from living on cheese sandwiches. And these are only five examples; what do you get for free that the rest of us pay for? 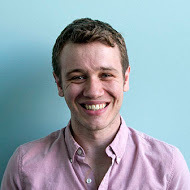 Dan McCartney is a freelance French and Spanish to English translator based in Chicago. Before translating, he worked as a consultant, instructor, and freelance math problem writer. ← Need advice or want to share your wisdom? Join the ATA Mentoring Program!